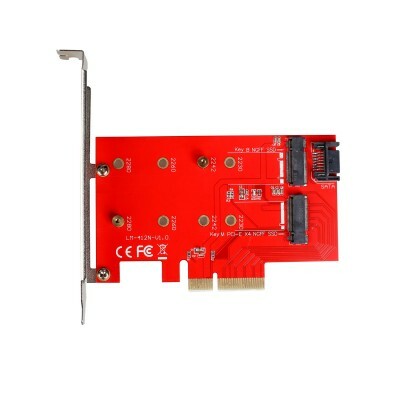 Internal PCI-E card for your desktop computer. Add fast SSD disk format M.2 to your system. The card has one slot for M.2 SATA (B-Key) discs and one slot for M.2 PCI-E (M-Key) discs. Delivered with SATA cable and low profile backplate for possible installation in low computer cases. - Complies with PCI Express M.2 Specification 1.0.